Single tickets are available to the general public beginning Feb 17. Call our Season Ticket Hotline Today! A Note from Michael Gennaro: The Music Man is one of the most well-known musicals and has all the elements of a great show – a beloved and humorous story, wonderful songs and a big brass band! 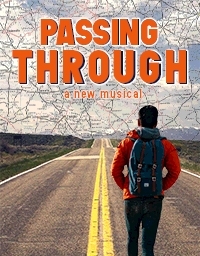 A Note from Michael Gennaro: We are excited to produce a brand new musical which has high prospects for a life after Goodspeed and will certainly lift your spirits. Watch out – this lovable dog will steal your heart! Young Billy Elliot is pulled between his family’s coal-mining roots and his newly discovered passion to dance. Is his future boxing gloves or ballet shoes? In the hardscrabble world of a changing England, reaching high becomes a leap of faith. Following your dream — and overcoming obstacles — has never been more electric than in the 10-time Tony winning Broadway phenomenon with songs by the legendary Elton John. Celebrate the idea of being yourself in the Goodspeed premiere of this powerful dance-filled story! A Note from Michael Gennaro: One of the top choices in our recent audience survey, it is a tour-de-force of dance with a contemporary story that is based on a heartwarming British movie. The true story of an ordinary man and his extraordinary life. From his tiny room in New York City, Bernhardt Wichmann III changed the lives of those around him without saying a word. 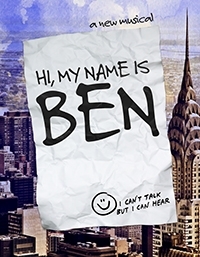 Using just his notepad and pen and open heart, Ben turned a neighborhood of strangers into a community of friends. Featuring a joyful, folk-inflected score by an award-winning Scottish writing team in collaboration with Dundee Rep, one of Scotland’s leading theatres, this is the story of how one man with nothing somehow changed everything. A Note from Michael Gennaro: Based on a true story that is as inspiring as it is engaging, this is Goodspeed’s first international collaboration and is being developed with the acclaimed Dundee Rep Theatre in Scotland. A Note from Michael Gennaro: Another true story, Goodspeed has been actively developing this new musical for nearly two years. Most recently, it was the hit of our Festival of New Musicals!